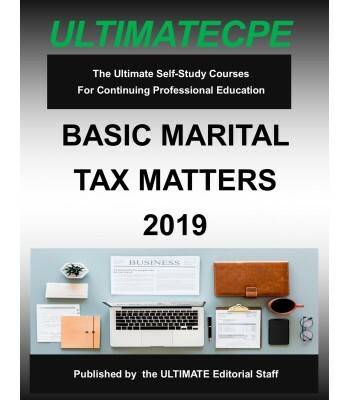 In this mini-course, initial marital tax matters such as living together, property rights, premarital agreements, filing status, exemptions, and dependents are explored. The detail support test for children of divorced or separated parents, the tax treatment of back child support, the deduction of di-vorce costs, and estimated tax payments are reviewed. 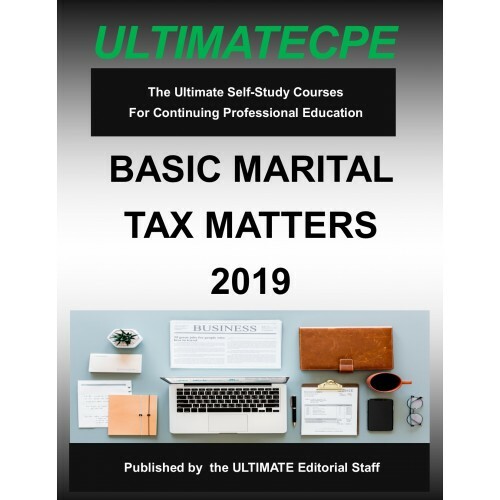 Emphasis is given to marital property rules, married versus unmarried tax rate comparison, head of household status, and treatment of refunds and deficiencies.